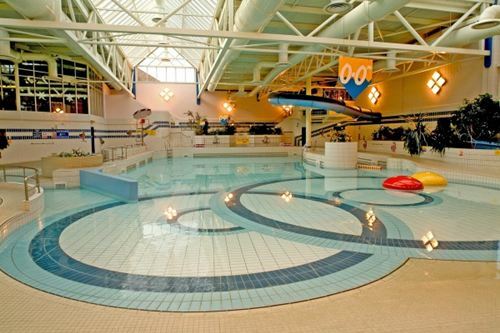 The centre also hosts a double sized sports hall, which is equipped for virtually every indoor game you could imagine, and is regularly home to national and international events and not forgetting the challenging climbing wall. A crèche is also available for visitors and why not meet up with friends or rejunvinate after all that activity, in the newly refurbished café! The menu varies daily and offers a fantastic selection of refreshments both hot and cold. Is one of Scotland's premier ice rinks. It opened February 1992 and is open to visitors daily except Christmas and New Years day (Subject to yearly changes). In March 2008 the ice arena was refurbished and re-opened in December 2009 and hosted the European Curling Championships. 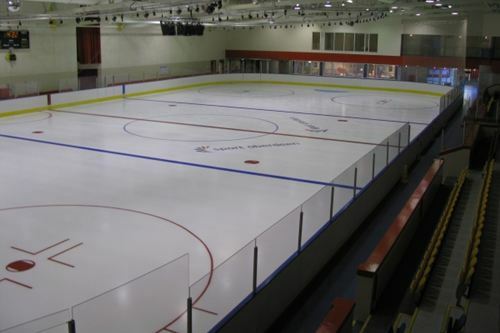 The ice arena is home to the Aberdeen Ice Hockey Club (Junior and Senior levels), Aberdeen Linx Figure Skating Club, Synchro Skating Club, Speed Skating Club, General Public Skating sessions and the National Ice Skating Association (NISA) Skate UK - Learn to Skate Programme. Please contact the reception for further details on any of the clubs or the Learn to Skate programme. The Ice Arena also has a Friday evening Disco session aimed at 12 years and over where a live DJ performs with an excellent disco lighting and sound system. The café is open for refreshments on Thursday and Friday evenings and at weekends. Birthday Party packages are also available at weekends, please contact the Linx reception desk for more information. Car parking facilities is available at both front and rear of the building.